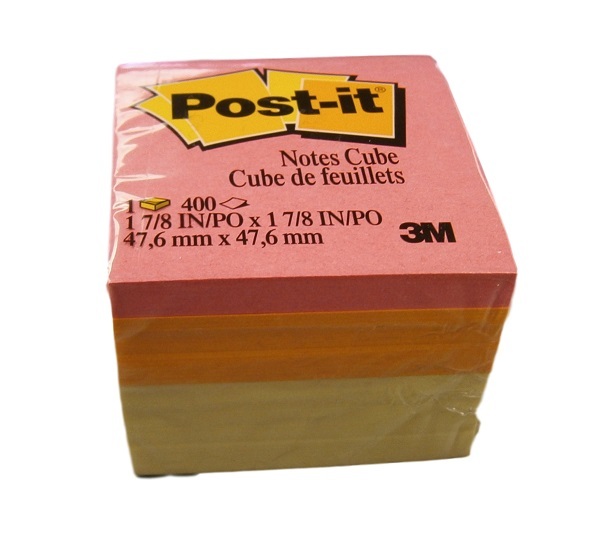 Post-it® Notes Cube in 2 in x 2 in size keep work surfaces neat and make finding your next note easy. Perfect size to help break through the clutter. With assorted Orange Wave or Canary Wave colors, your thoughts get noticed. 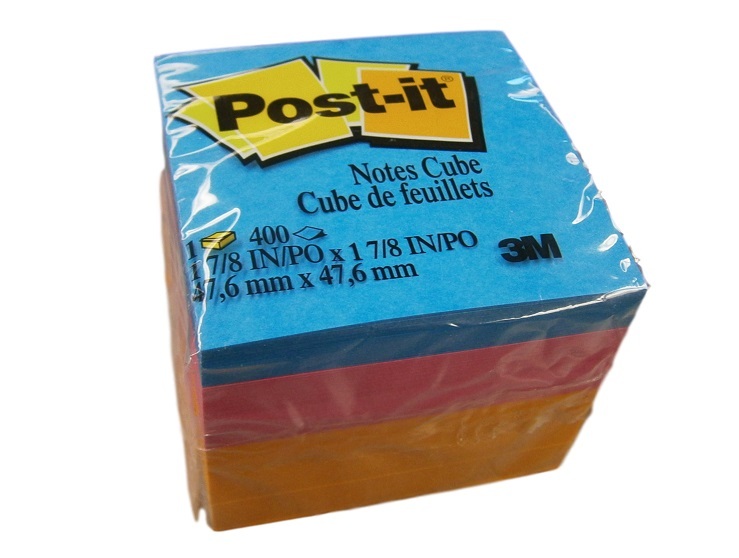 400 Sheets/Cube, 1 Cube/Pack. Put any preferred color in the order comments or a color will be chosen at random.